Writing in Healthcare Dive, Lee Masterson adds that formally the merger is between equals. “Englewood, Colorado-based CHI CEO Kevin Lofton and San Francisco-based Dignity Health President and CEO Lloyd Dean will both serve as CEOs for the new health system,” notes Masterson. Even the headquarters (Chicago) is a city where neither organization was based. Local hospitals and facilities will keep their Dignity and Catholic Health Initiative (CHI) names. Still, CHI seems to have needed the merger more than Dignity. Kacik notes that CHI lost $593.4 million in 2017 and $276.7 million in 2018. Dignity reported a gain of $529.3 million in 2018, up from a loss of $66.8 million the year before. Kacik also reports that, “Dignity’s board meeting minutes revealed that its executives and directors were concerned about CHI’s financial position.” More than half of the executive team will come from Dignity, Kacik writes, compared to 38 percent from CHI (and eight percent external to both). 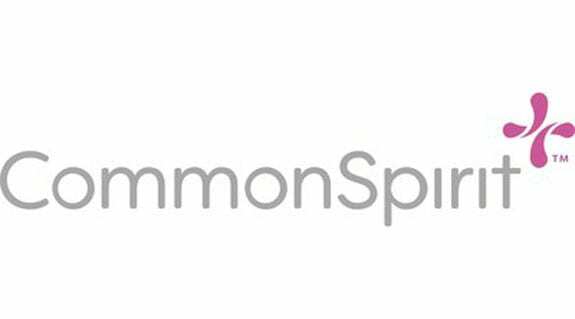 The combined CommonSpirit Health will have 150,000 employees, 25,000 physicians and clinicians, and will become the largest Catholic healthcare provider in the US. Both healthcare systems themselves are the product of previous mergers. As Masterson explains, “Catholic Health Initiatives was formed in 1996 with the consolidation of four Catholic hospital systems and operated 101 hospitals in 18 states, employing more than 91,000 people and generating $15 billion in annual revenue.” Dignity, too, over the past decades acquired more than half of its hospitals from other health providers. In merging their systems, Dignity and CHI have followed a common industry trend. An analysis published in Lexology from the law firm Hall Render Killian Heath & Lyman PC points out that the three leading rating agencies—Fitch, Standard & Poor’s, and Moody’s—all expect to see “continued consolidation for nonprofit hospital systems in the coming year.” The drivers, financial analysts at these agencies say, include reducing costs and, perhaps more importantly, increasing leverage with insurance companies to negotiate higher payments. The allocation of $20 million over six fiscal years to support implementation of a Homeless Health Initiative to co-locate, coordinate, and integrate health, behavioral health, safety, and wellness services with housing and other social services, with at least half ($10 million) spent during the first three years. Starting in 2019, all of Dignity Health’s California hospitals will offer a 100-percent discount to patients up to 250 percent of the federal poverty limit through its financial assistance policy, with the policy prominently posted and marketed through outreach to community groups.